In his timely YA debut, a best-selling novelist revisits a summer of tumult and truth for a young narrator and his war-torn family. Bicentennial fireworks burn the sky. Bob Seger growls from a transistor radio. And down by the river, girls line up on lawn chairs in pursuit of the perfect tan. Yet for ten-year-old Eli Book, the summer of 1976 is the one that threatened to tear his family apart. There is his distant mother; his traumatized Vietnam vet dad; his wild sister; his former warprotester aunt; and his tough yet troubled best friend, Edie, the only person with whom he can be himself. As tempers flare and his father’s nightmares rage, Eli watches from the sidelines, but soon even he cannot escape the current of conflict. From Silas House comes a tender look at the complexities of childhood and the realities of war — a quintessentially Southern novel filled with music, nostalgic detail, a deep respect for nature, and a powerful sense of place. Silas House is the nationally best-selling author of the award-winning novels CLAY'S QUILT, A PARCHMENT OF LEAVES, and THE COAL TATTOO. He serves as writer-in-residence at Lincoln Memorial University and lives in eastern Kentucky with two daughters and two dogs. The story flows along as steadily as a stream, carrying readers and Eli to the end of summer and beyond, into a coda where he is an adult. 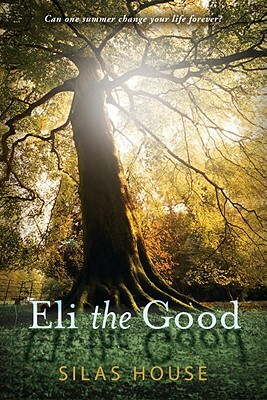 Eli is good company and children will enjoy accompanying him on his journey.